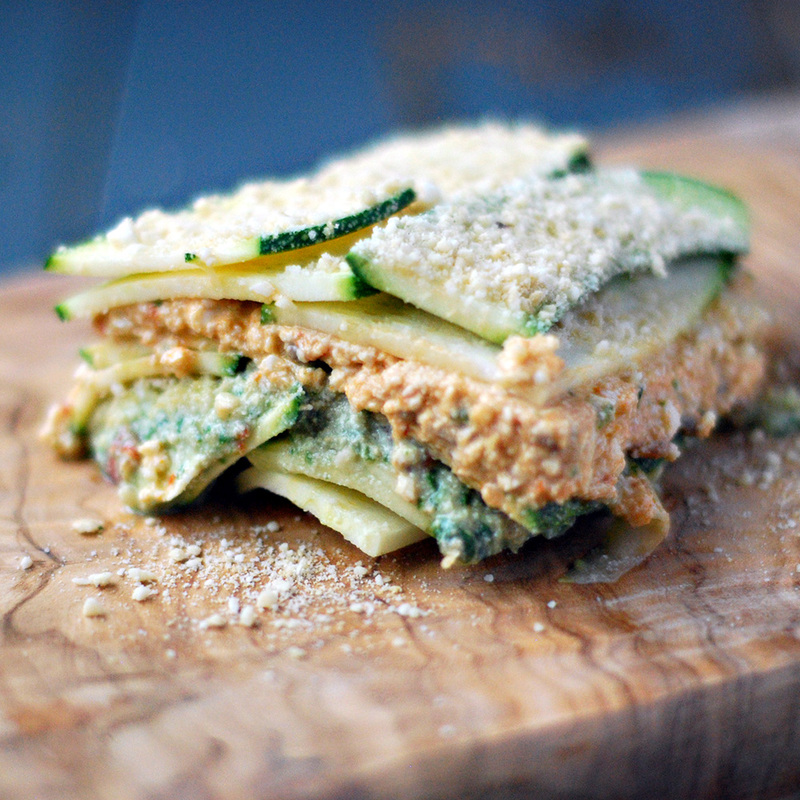 I absolutely love courgettes and have been meaning to try a raw lasagne for a while. This lasagne it’s meal on its own, it’s rich, refreshing and incredibly delicious. It takes almost no time to prepare so there is no excuse for not trying it. Slice the courgettes on a mandolin or any kind of vegetable slicer. On a food processor beat 200g tofu with the tomato, salt and black pepper and set aside. Beat the rest of the tofu with the tomato pesto and spinach. On a small tray put one layer of courgettes and spread the first cream, put another layer of courgettes and spread the second cream. Keep doing it until you get to the top of the tray and have no more cream or courgettes left. Sprinkle the nutritional yeast on top and serve.